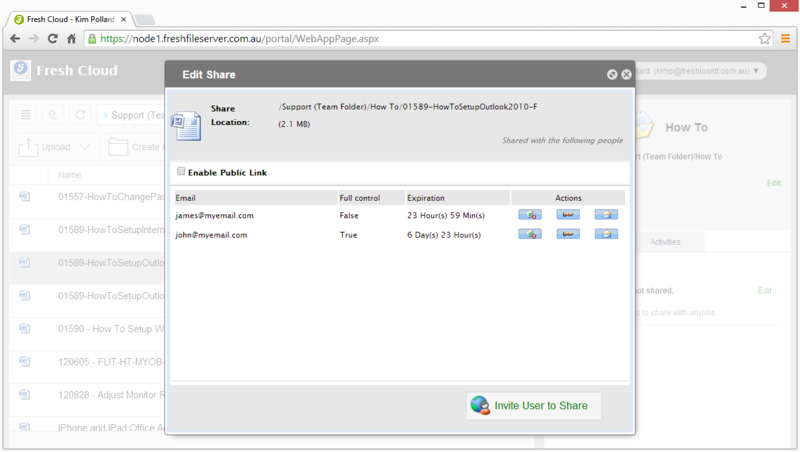 You can share folders and files with your team members. 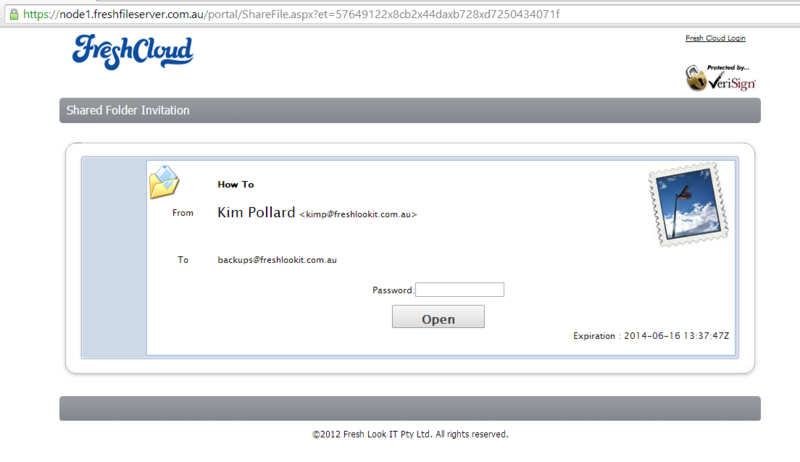 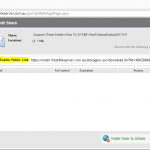 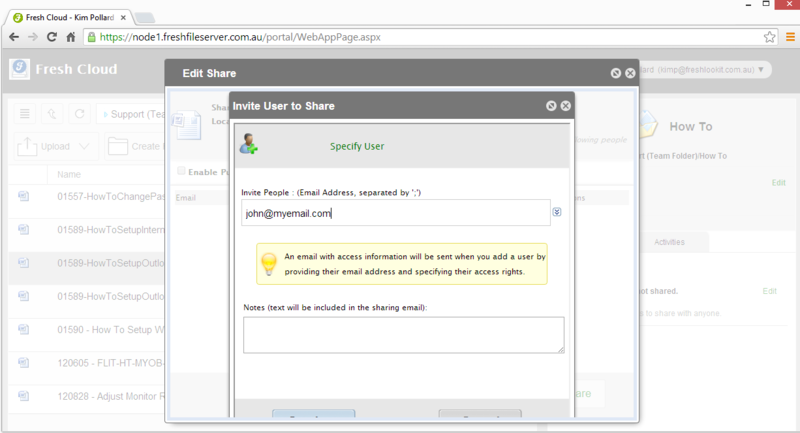 Team members receiving these shares will see the files and folders under the “Files Shared with me” folder. You can assign read-only permission or full access to the shared items. 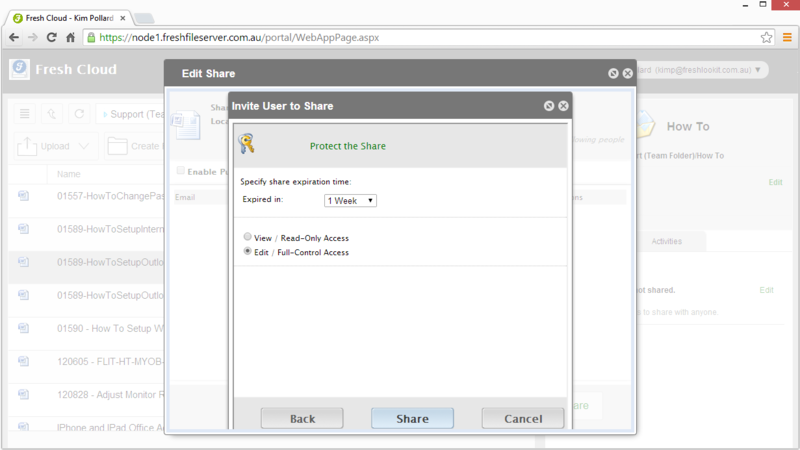 You can also share folders and files with someone outside your team, who doesn’t have a Fresh Cloud File Server account. 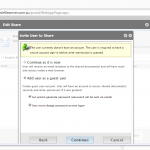 They can receive either read-only access or full access, protected by a password. 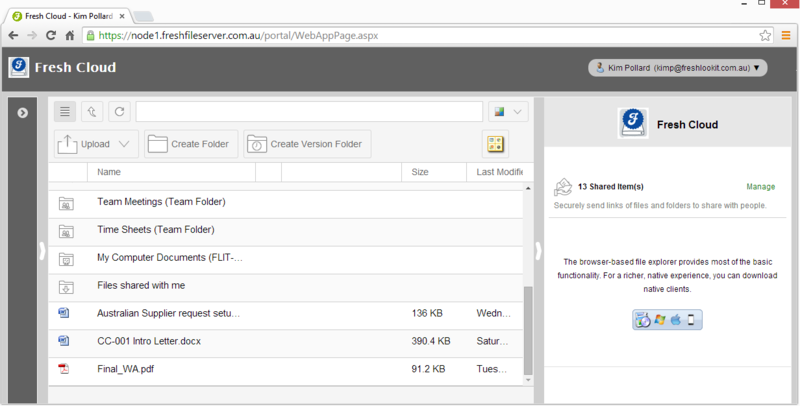 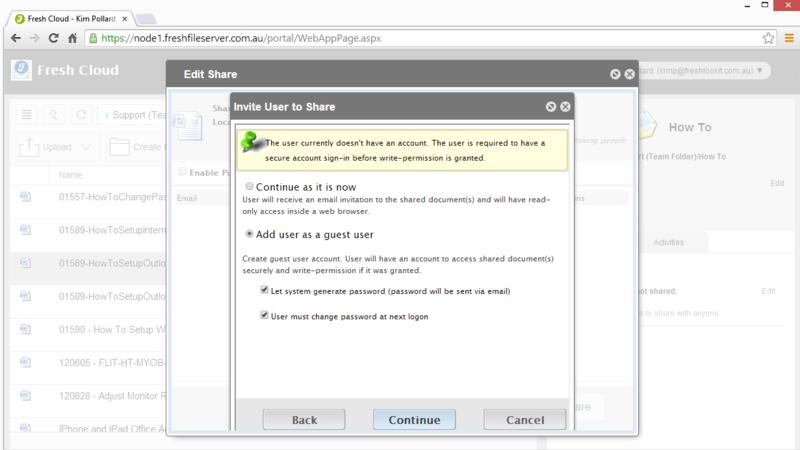 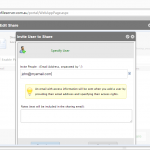 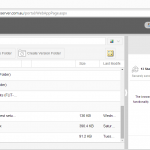 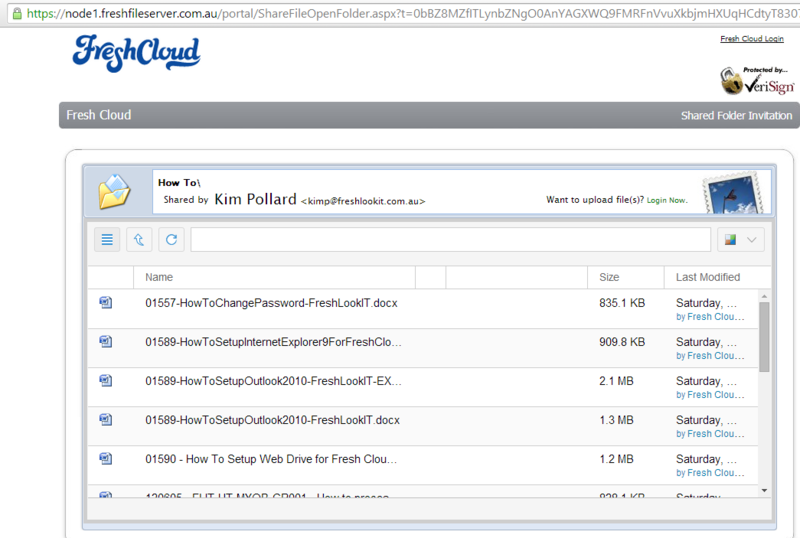 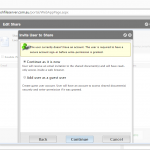 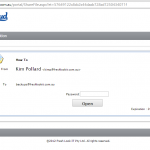 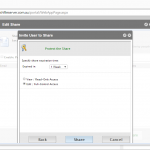 You can take any folder in your Fresh Cloud File Server account and turn them into a network share on a file server. 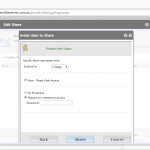 For the owner of the files and folders, it is the same process sharing items with users, whether the user is part of the team or the user is external to the team. 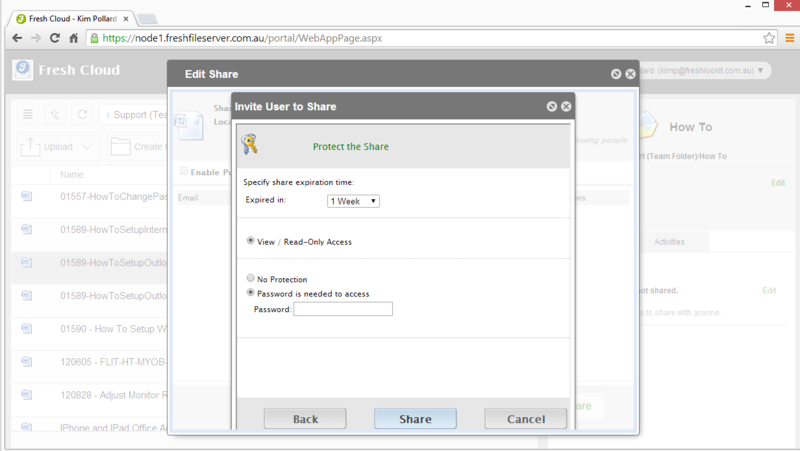 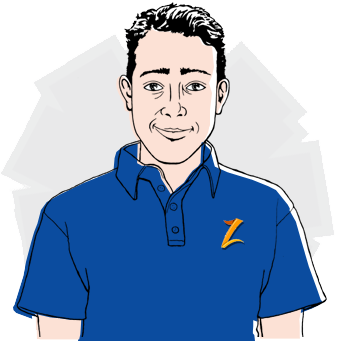 Team members receiving the share need to login to their team account to see the shared items.